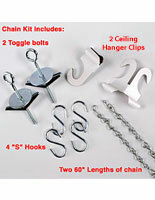 These Professional Sign Supplies For Business Are Hardware and Chain Kits! 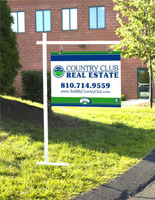 These Sign Supplies Get Your Company Advertising Display Out There Fast! Buy Online At SignSupplies2Go.com! 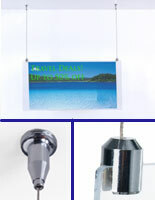 These sign supplies are well-furnished installation kits for creating commercial displays. 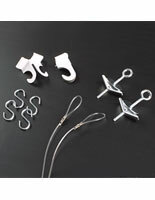 The hanger clips are designed for use on suspended ceilings. If your company needs sign supplies for ceilings made of sheetrock or plaster and lathe, these sign supplies offer you toggle bolts. 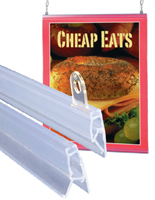 Rather than using cheap plastic or heavy metal frames, you can choose these sign supplies to promote your products! These ceiling-based suspension kits are simple to update, simple to install, and highly visible marketing techniques. These sign supplies are gaining in popularity with those company sectors where they attract customer attention more effectively than do wall frames. Ceiling suspension has the added advantage of freeing up wall space for additional advertising or poster signs. Retail and grocery chain stores rely on these sign supplies to promote newly launched products and to raise customer awareness of special offers or the store's floor layout. 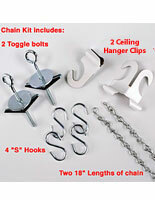 Our company offers this kit in other sizes and chain lengths, to suit your needs. 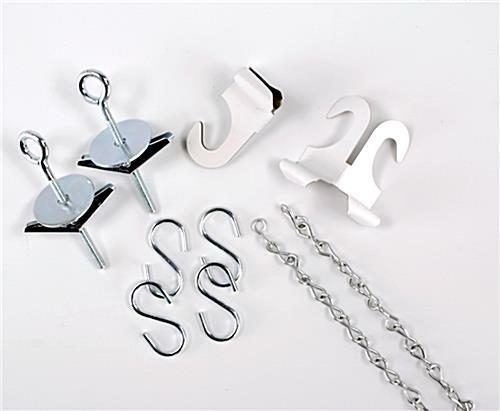 These inexpensive sign supplies for ceiling mounts contain the hardware array you need for suspending posters and banners from the ceiling, and are compatible with our banner and poster hangers.